HerbTox helps you remove Water Retention from your body and boost metabolism. Where modern age has upgraded the living standards of people it certainly has some adverse health effects too as the pace in the air does not lets us concentrate on our intakes and even the environment around us plays a vital role in our bad health. Toxins in food, air, water, and the environment, makes cleansing the colon, liver and other organs more important now than ever. The burden of over-pollution may be responsible for deleterious effects on the immune system, a scenario which makes us highly susceptible to chronic degenerative diseases. Cleansing diets, herbs, and detoxification programs may seem like a modern health trend But societies have been using natural cleansing methods to detoxify the body for hundreds of years. Many religions encourage people to fast as a mean of cleansing both the body and the mind for spiritual practices. Certain plants and herbs have been used for centuries to help cleanse the body. There are many ways to start detoxing your body and they don't have to be costly or time-consuming, in fact, it is possible to start doing something about your health today. 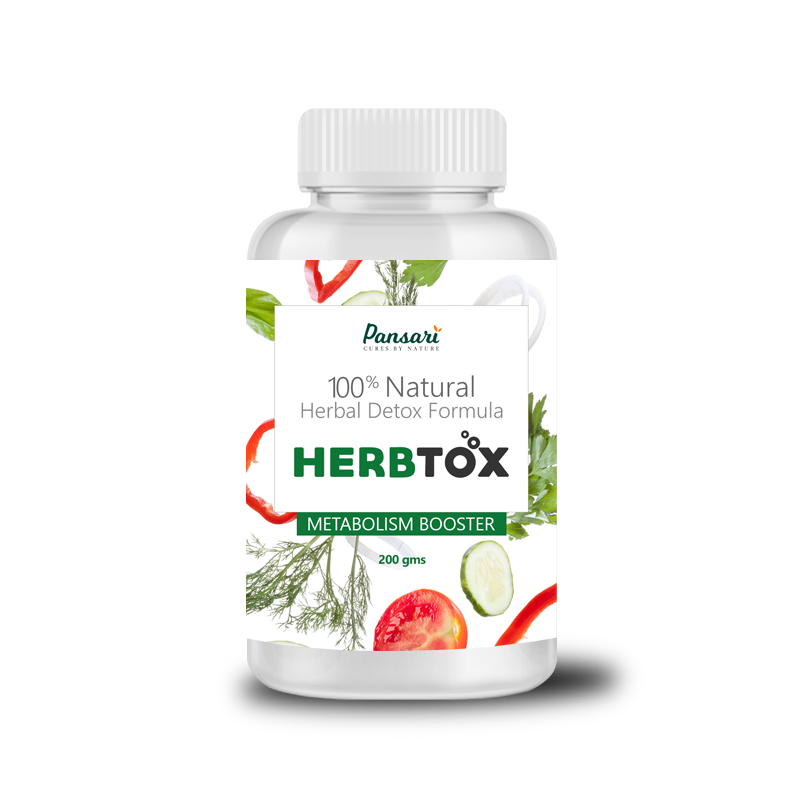 Pansari brings you special Herbtox Powder that will help you get rid of all the toxic and unhealthy substances from your body in a very healthy way, now Detoxify Naturally. Not only will you experience the cleansed feeling from within but it will also remove the water retention from your body. Herbtox Powder is prepared with all 100% natural organic and premium quality herbs which do not have any kinds of preservatives or additional flavors and is suitable for all. Detoxify Naturally with Pansari Herbtox Powder. Take 1 teaspoon three (3) times a day daily with warm glass of water. This is a course of one month.